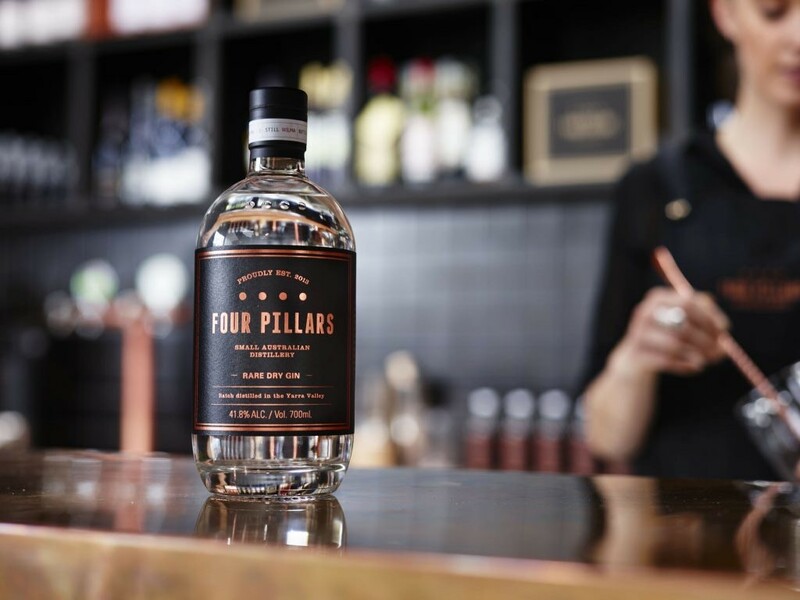 This month’s exquisite gin is the Four Pillars Rare Dry Gin, a classic Australian gin brewed with notes of citrus and pepper. 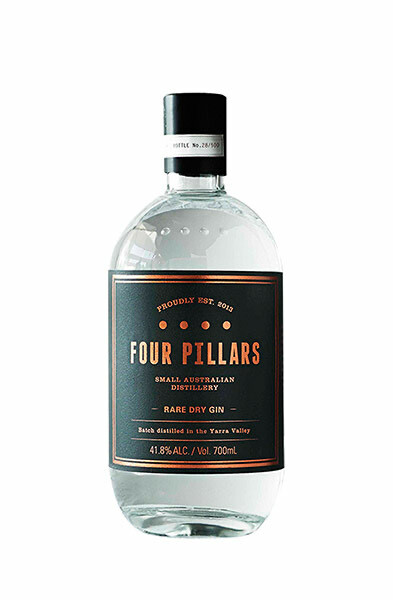 Four Pillars Rare Dry Gin is made in a small distillery in Yarra Valley, Australia. Everything the Four Pillars distillers make is based around their four pillars – the still, the water, the botanicals and love. It’s sort of a bit like the four elements of hip hop. Pillar 1 – The Four Pillars copper-pot still is called Wilma. Pillar 2 – The water they use from Yarra Valley is triple filtered. 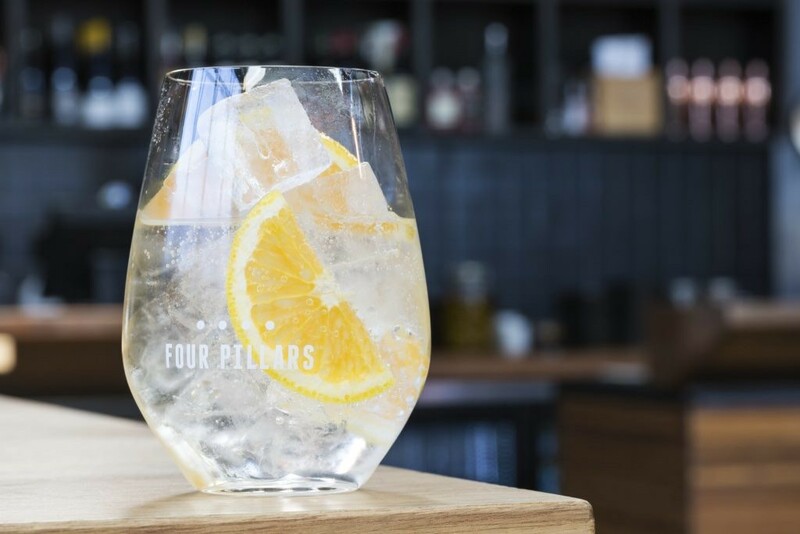 Pillar 3 – They use some local botanicals (Tasmanian pepperberry, lemon myrtle), some exotic botanicals (cinnamon, cardamom, coriander seeds and star anise) and some classic botanicals (juniper, lavender, angelica root), as well as whole oranges to give Four Pillars Gin its flavour profile. Pillar 4 – The distillers love what they do and love what they’ve made. It all adds up to a vibrant Australian gin which stands out in cocktails, but is superb neat. It all began when Cameron Mackenzie and Stuart Gregor, both wine industry veterans, got talking about their next adventure. The original plan was to make tonic but that idea lasted about 72 hours – until they saw a giant alcohol machine and decided, ‘who wants to make a soft drink?’ Brand guru Matt Jones soon joined the team and Four Pillars was born. In October 2015, the Four Pillars team, moved into their new home in the heart of the Yarra Valley, about an hour’s drive from Melbourne, the food and wine capital of Australia. The Four Pillars Distillery houses their original copper still Wilma (450L) and her two new siblings Jude and Eileen, also manufactured by Carl in Germany. Jude is a 600L still, while Eileen is a small experimental still giving them the capability to make batches of all sorts of crazy, ‘ginnovative’ things. The distillery also houses a fully functioning tasting room, and a bar serving multiple versions of the three greatest gin cocktails known to man – the G&T, Martini and Negroni. There are also tours, occasional masterclasses, and all manner of fun. The Tasmanian pepper berry leaf adds warmth rather than piquancy while lemon myrtle is a unique alternative to lemon peel. The team describes the botanical contents and the desired flavour profile as trying to deliver the best of both worlds – a classic gin but also something that would intrigue even the most hardened gin fanatic. Juniper is clearly there, alongside an array of traditional flavours but the slight twists really add new depth. The end product is genuinely a different take on gin.